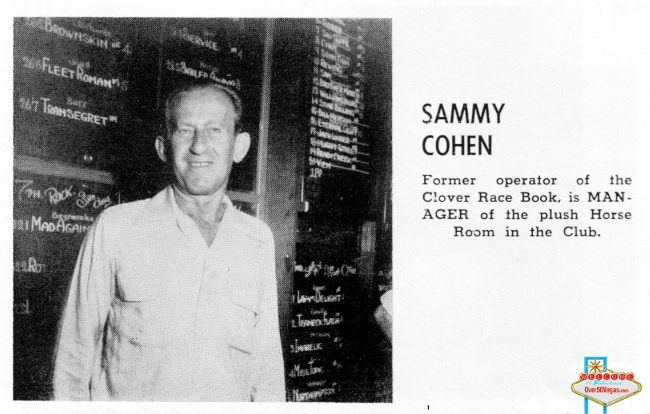 The Clover Club opened January 1st, 1951 and closed later in the same year, according to the Fuller Index. 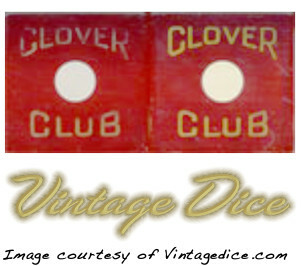 some dice have been found that are attributed to the Clover Club. 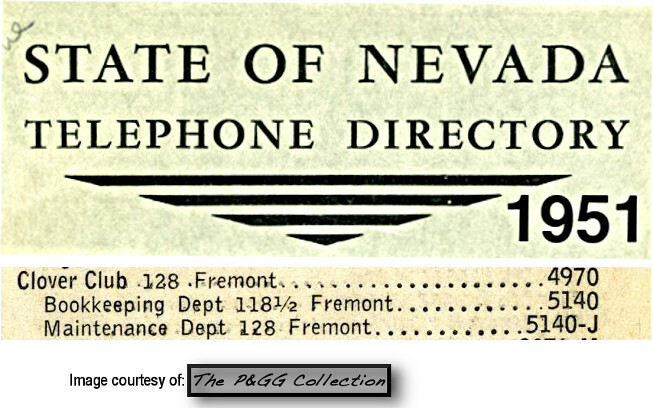 Ther was also another club of the same name on the Salt Lake Hwy from 1944 through 1948. 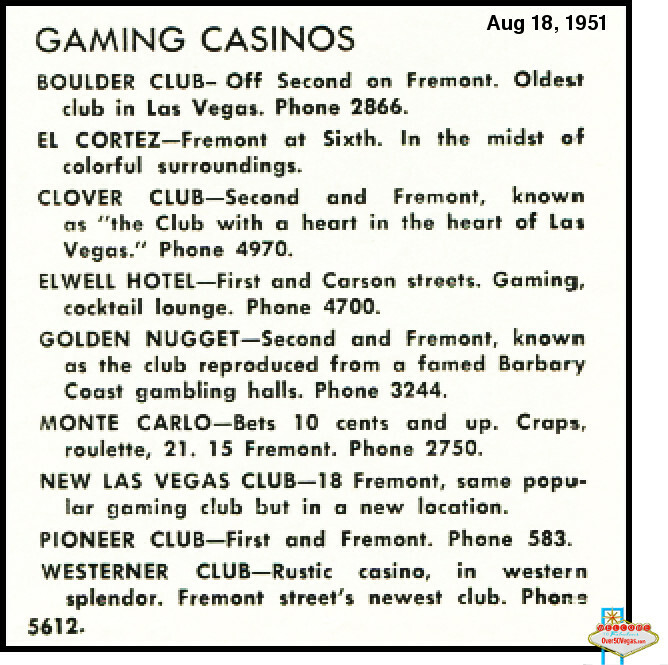 The Clover Club was one of the clubs that closed down as the Eldorado expanded and became the Horseshoe.